This is the Estes Executioner E Model Rock Kit. Dominate the skies with the massive E engine powered Executioner! This giant is impossible to miss during flight with its huge 2.5 inch diameter body tube and over 36 inch length. It's no wonder this goliath needs D and E engines to reach heights of over 600 feet! 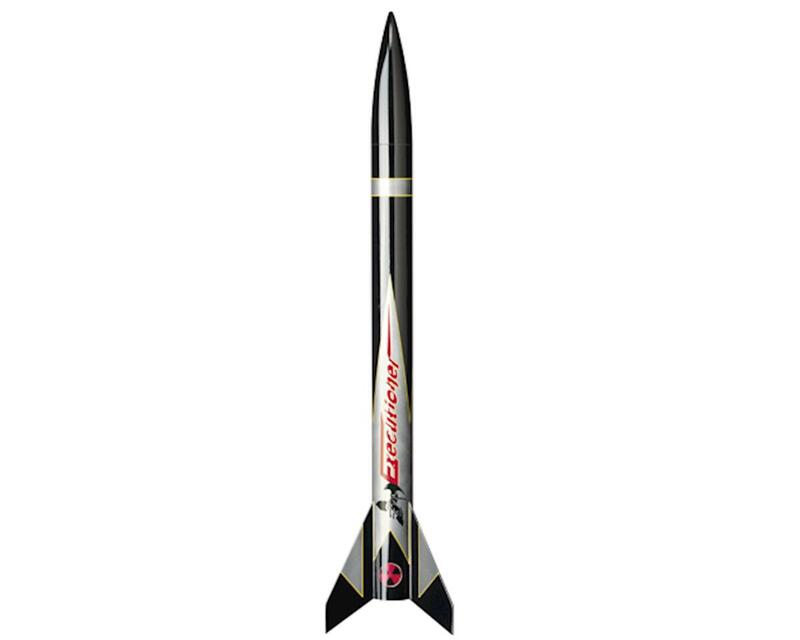 The Executioner has several features that make it easier to assemble and extremely durable when powered with D and E rocket engines. First, a slotted main body tube provides perfect through-the-tube fin attachment and alignment of the laser cut birch wood fins. This style of fin assembly provides superior fin to body tube strength and exceptional stability during flight. 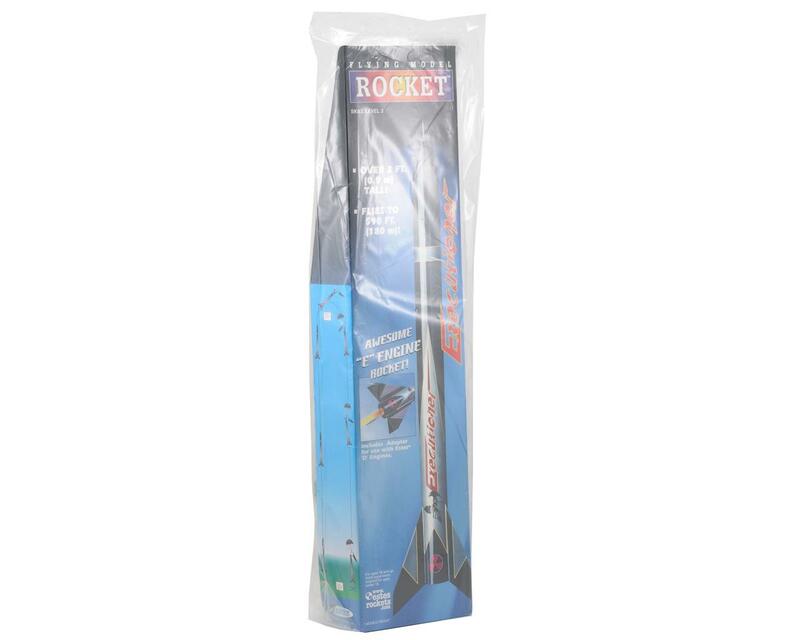 This rocket kit also features a blow mold, aerodynamically streamlined nose cone for improved vertical performance. When loaded with a powerful E engine, this huge model can reach altitudes of almost 600 feet. As an added feature, a ¼" x 36" rubber shock cord and a pre-assembled 24" parachute have been included to ensure safe landings so you can recover this behemoth for more exciting, ear deafening launches. The Executioner also includes an adapter that allows you to quickly convert from E engine power to D engine power. NOTE: Requires Estes "Porta-Pad E" and "E Launch Controller", when launching E Engines - Sold Separately.